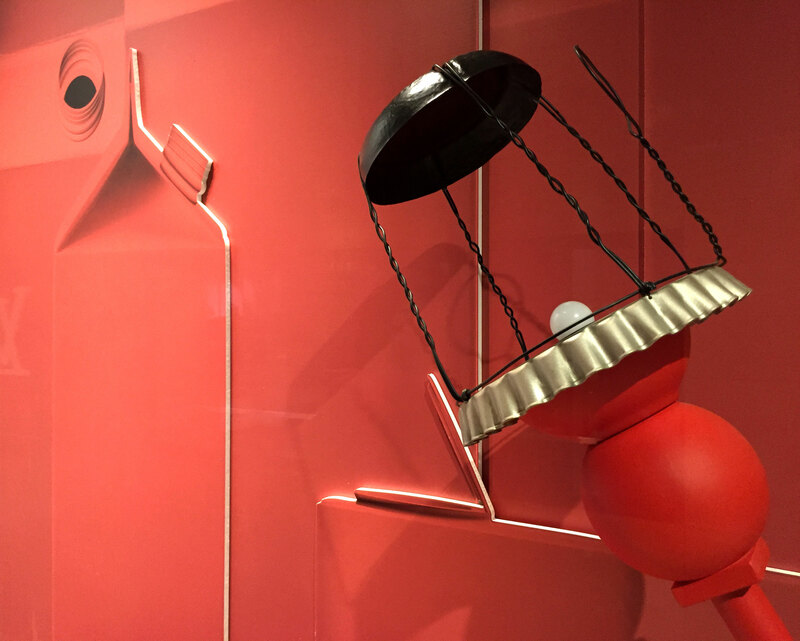 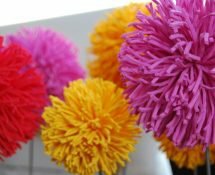 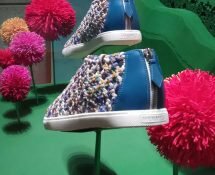 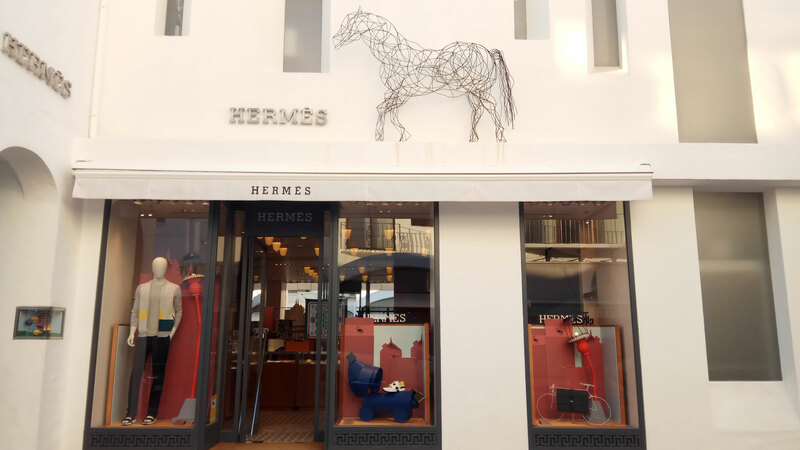 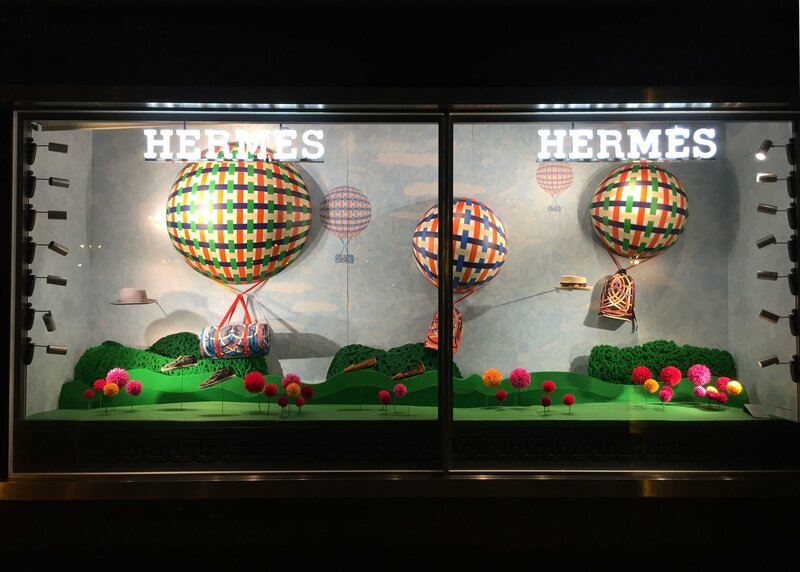 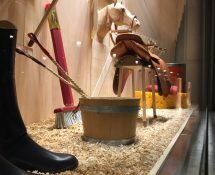 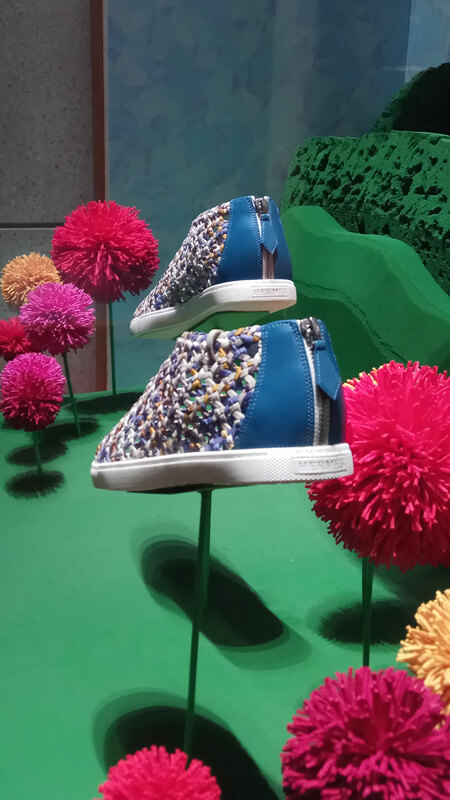 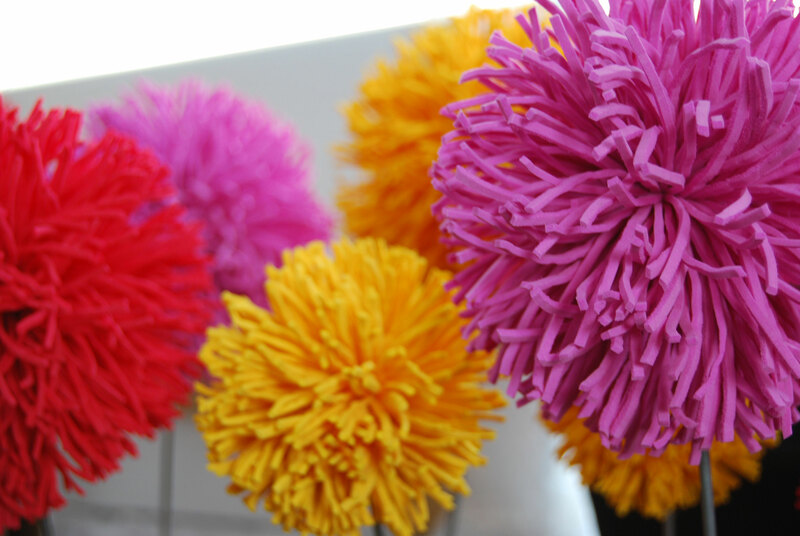 The summer season arrives to Hermès boutiques in Spain and its new windows displays, an explosion of color and originality that the Dutch designer Kiki Van Eijk has expressed with “Tinkering”, her latest project of window dressing for the French brand . 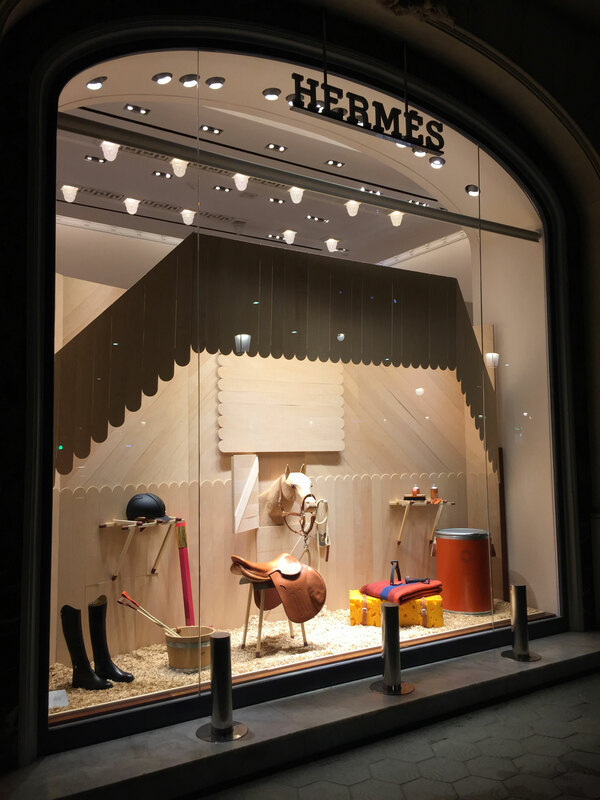 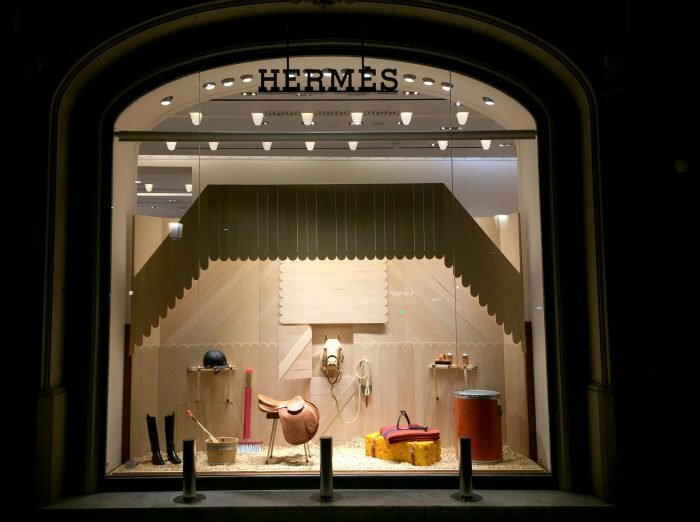 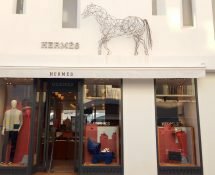 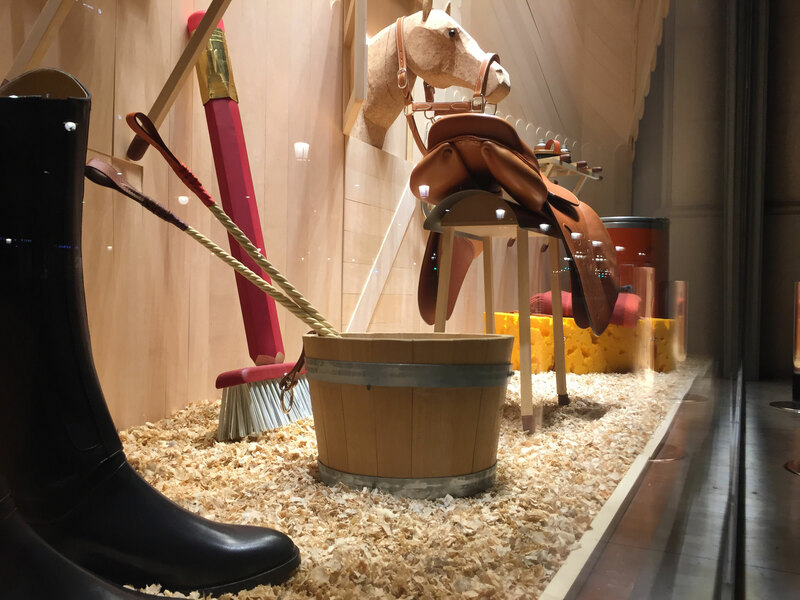 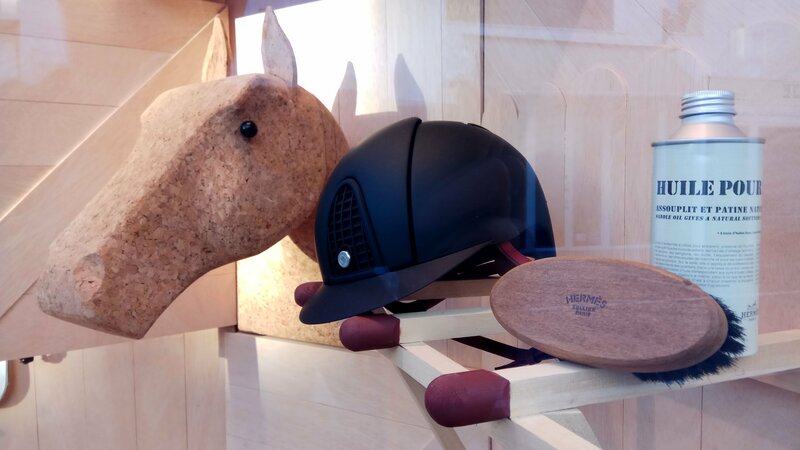 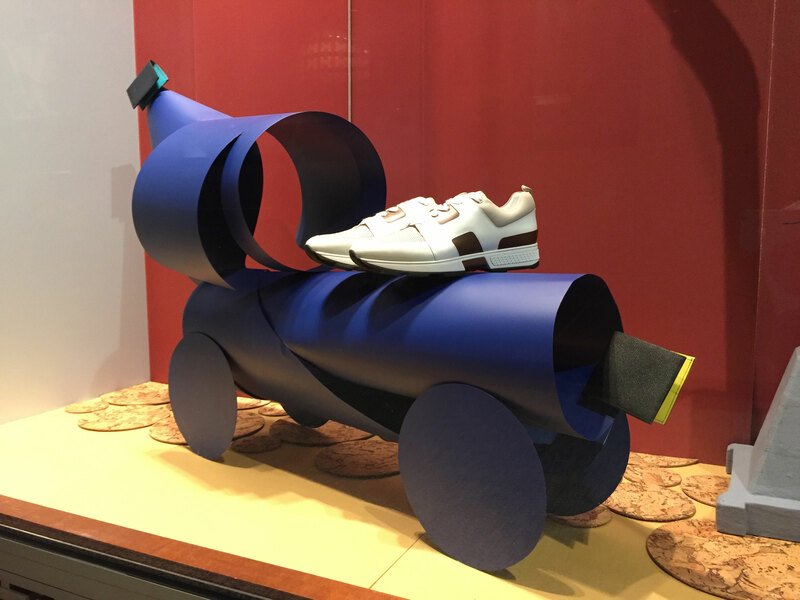 The windows displays of Madrid, Barcelona and Marbella are transformed and offer us the vision of a children’s world in which the products of Hermès come to life. 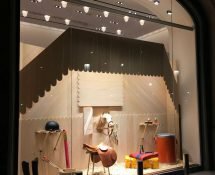 INSTORE following the designs of Kiki Van Eijk has developed the production of the different elements that form the windows displays and its installation in the boutiques of Hermès in Spain. 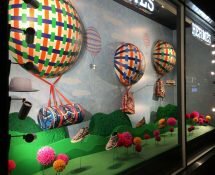 For this new season the brand presents four models of windows displays each of them show a different universe. 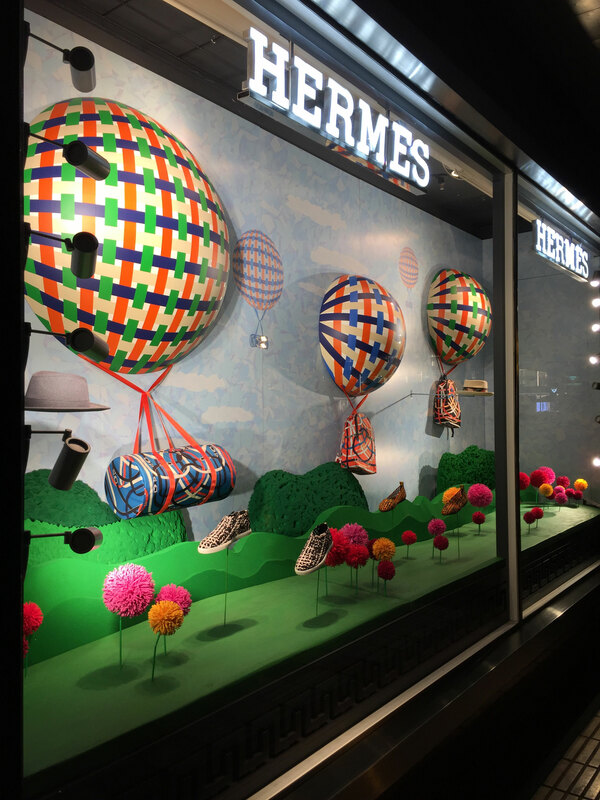 “Women silk ready to wear & accessoires”, a landscape of 3D balloons in which bags and hats from Hermès fly over a field of flowers. 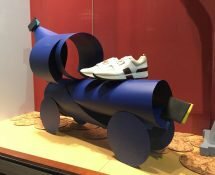 “Men ready to wear & shoes”, fashion, accessories and men’s shoes are in an urban environment in which buildings are 3D enlarget milk cartons, dogs are made of metal, bicycles of wire and 3D streetlights size XL. 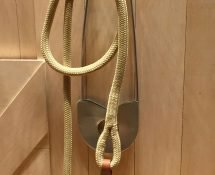 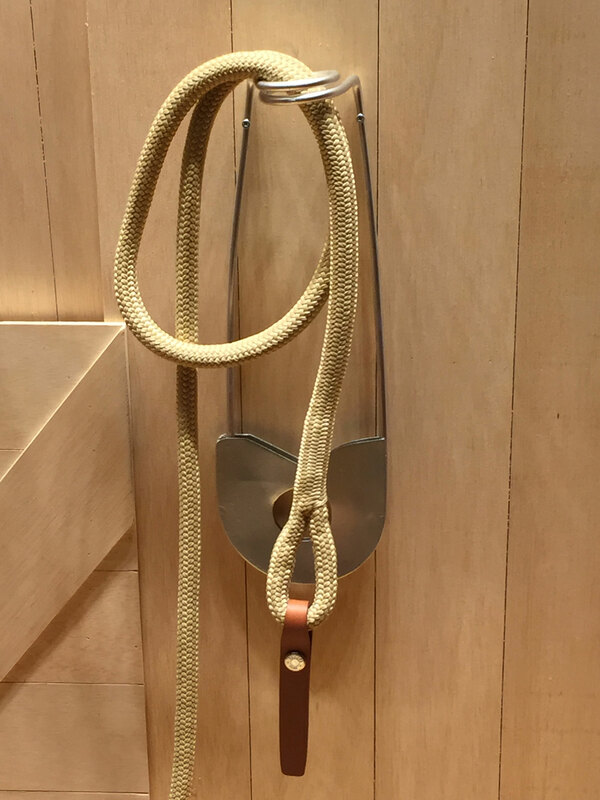 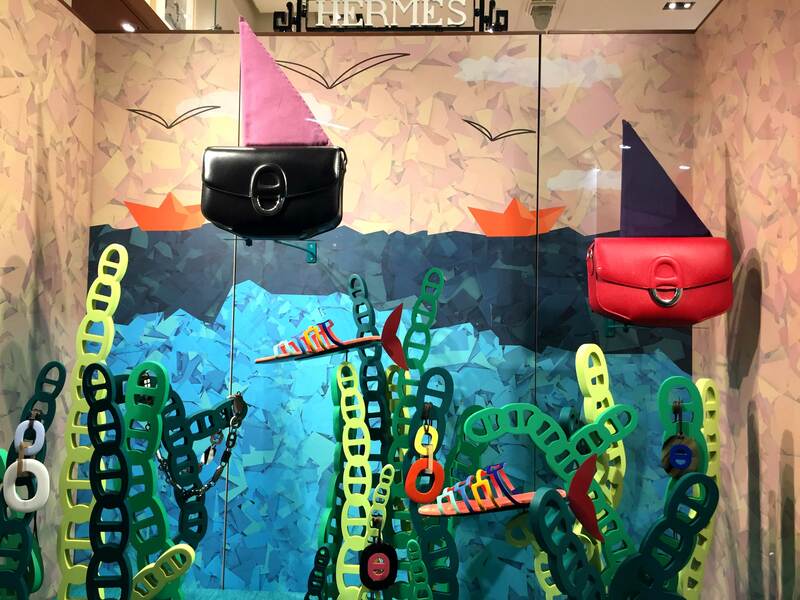 “Chaine D’Ancre”, window dedicated exclusively to the sandals and handbags that Hermès has designed for this season, displayed on a seabed in which the algae are showcases. 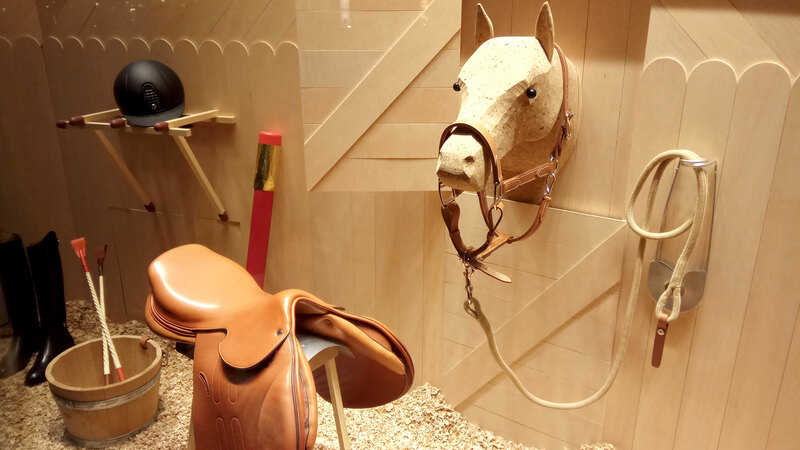 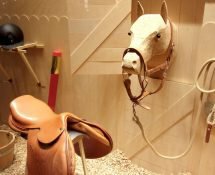 “Equestrian”, is the main window, it´s dedicated to the horse´s world, has been done by INSTORE’S carpentry department, a stable in which the walls are made by ice lolly sticks, the shelves are big matches and the brush is an enlarged toothbrush with a handle that is an enlarged pencil; If we add a 3D cork horse head the window recreates the perfect space to show Hermès horse riding items.